Anyone who has ever delighted in a babys bright smile or darling toes will instantly connect to this adorable board book that is perfect for reading aloud to little ones. With just the right balance of sweetness and humor, this is a soothing ode to all the wonderful bits and pieces that make up a cuddly, snuggly baby. 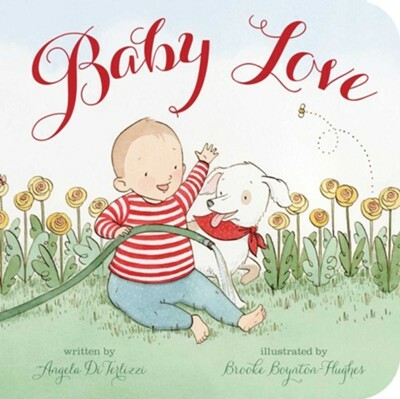 Brooke Boynton Hughes is the illustrator of Baby Love by Angela DiTerlizzi and Trudy Krishers Bark Park. She lives in Fort Collins, Colorado. Visit her at Brooke.Boynton.Hughes.com. I'm the author/artist and I want to review Baby Love.